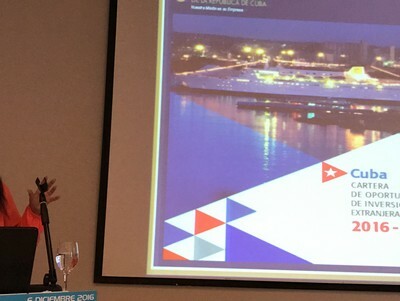 Cuba has more than 11 million inhabitants and receives 3 million tourists a year while its economy is the second largest among Caribbean countries registering 3% GDP growth in 2014. However the island is heavily dependent on imports throughout the economy and needs investment at all levels. 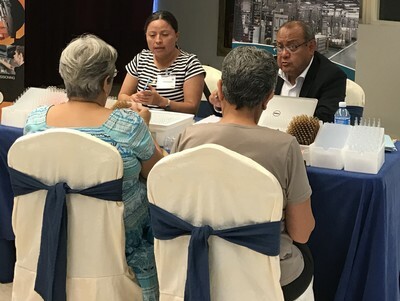 A recent law seeks to promote growth in the local market by encouraging the in-flow of foreign capital and the government is aware that internationalization will also mean greater internal demand and higher consumption. The Economic Commission for Latin America and the Caribbean (ECLAC) has already detected greater dynamism in the construction sector mostly related to private operations (+ 19.7%). 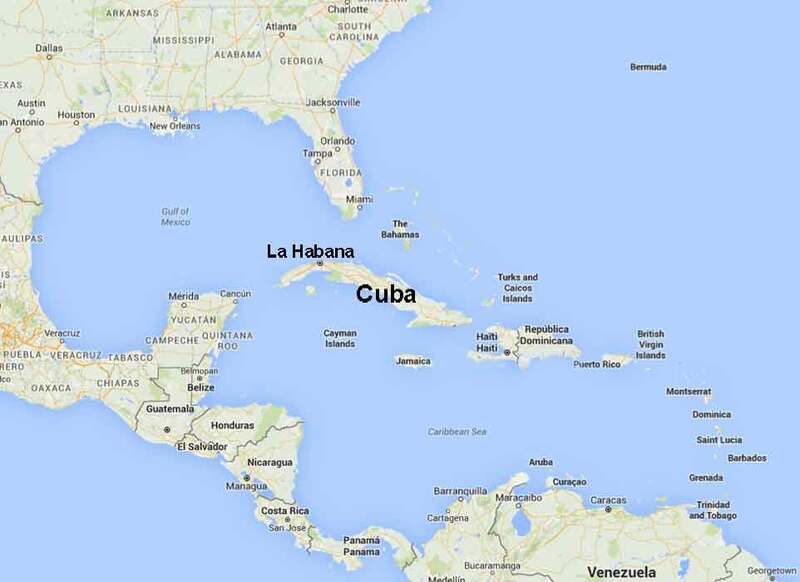 Cuba could become the benchmark for the entire Caribbean area. 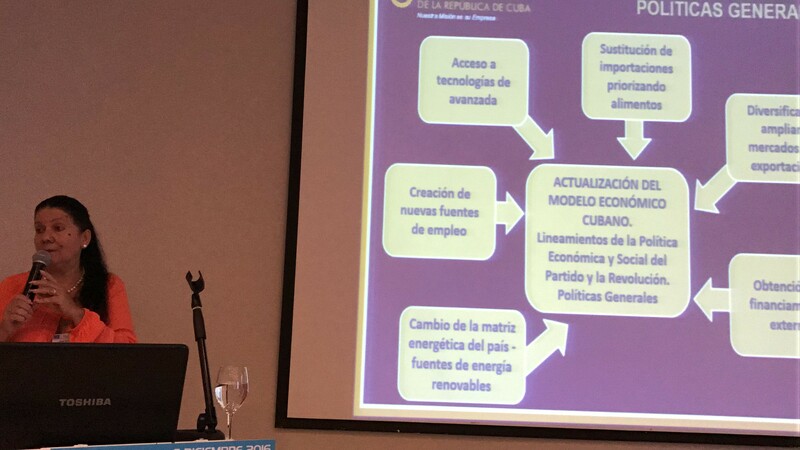 Cuba is starting to open up to modernization and development in its economical and industrial system and this process also includes the glass sector. A great deal of machinery and technology is obsolete and requires complete renovation or even total replacement. According to IMF estimates the island has incredible potential: it is now moving towards new investments involving foreign capital and will soon start producing goods locally. 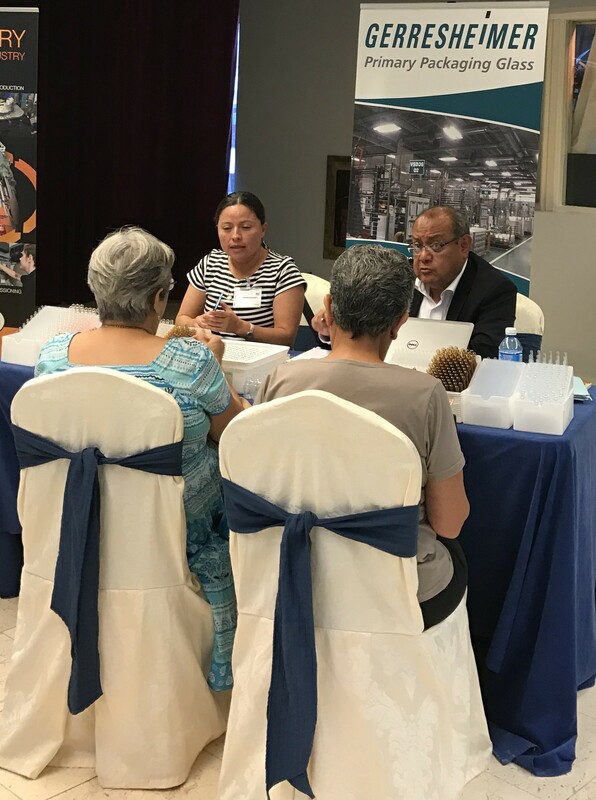 CUBA GLASS is the first international event that offers the opportunity to meet the very people who need to renew and modernize as well as those who want to invest in the island. 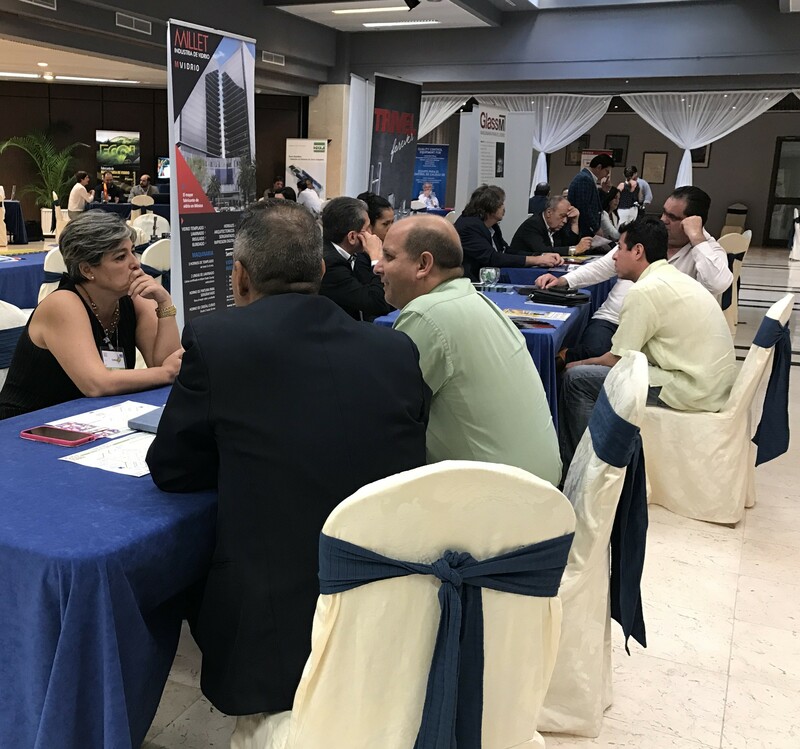 Glass is certain to be at the forefront of Cuba’s development – just think how many square meters of glass will go into modernizing and expanding tourist facilities shops and offices private and public housing. Moreover according to a recent survey pharmaceuticals and the supply chain for alcoholic and soft drinks are amongst the most promising sectors. 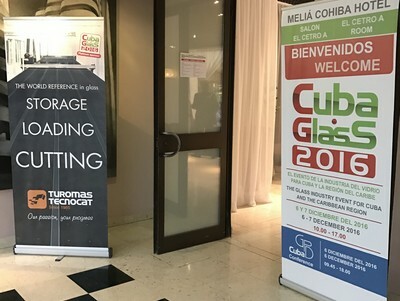 Take part in CUBA GLASS using our lightweight formula which avoids a heavy commitment in time or money for stand set-up and offers defined transparent pricing from the outset. 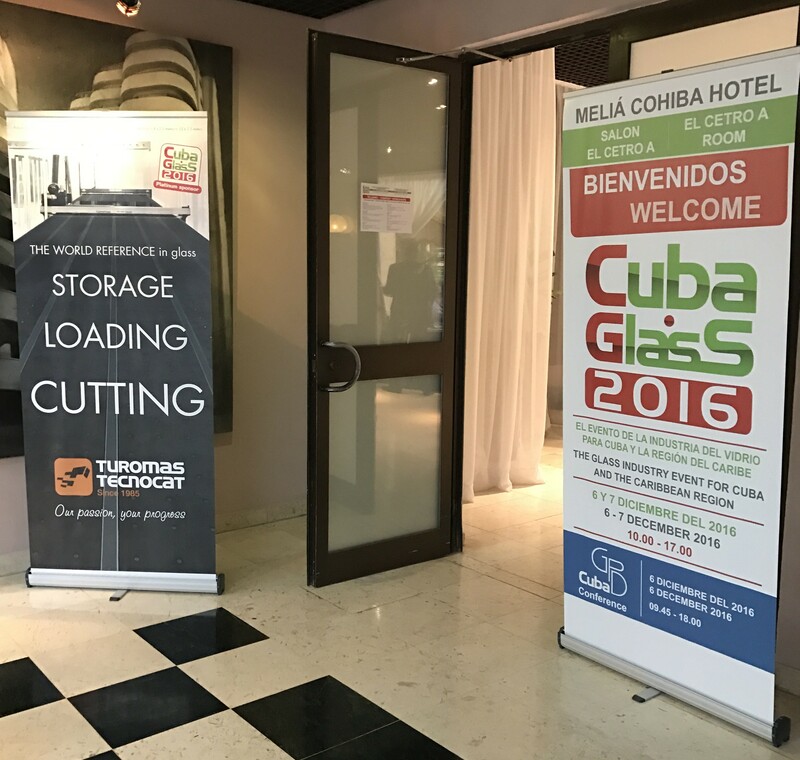 Shortly after the event all exhibitors and sponsors at CUBA GLASS 2016 will receive the complete list of registered visitors in an excel file with their company data (see visiting &Rrightarrow; registration). 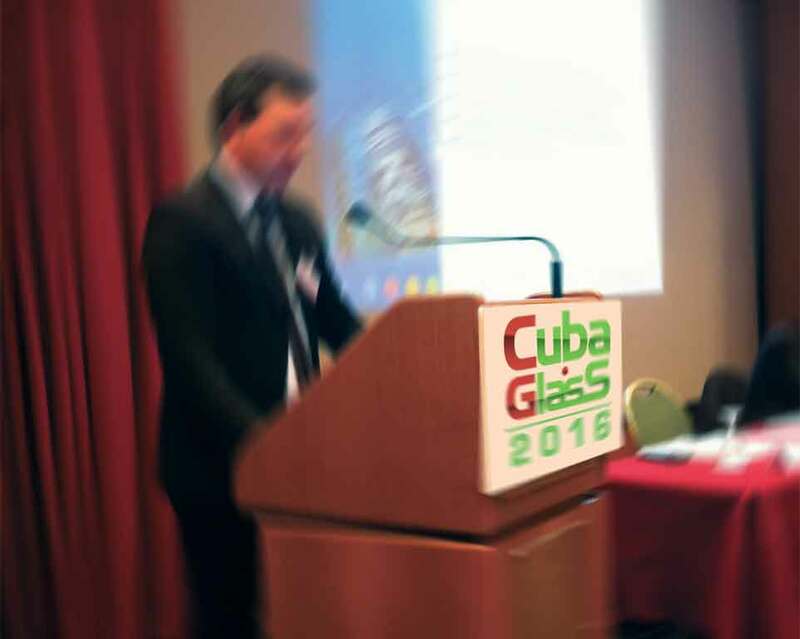 CUBA GLASS 2016 offers a wide range of sponsorship opportunities to enhance company's presence: visitor lanyards and badges carrier bags newsletters posters and banners event catalogue lunch/coffee areas etc. POMDI - Herramientas de Diamante S.A.
Click on “Register” -> “Checkout” and duly fill in the form. Once you receive confirmation by e-mail please print the ticket (attached pdf) and bring it with you to the event reception to attend the event. The ticket is valid for 1 person for both days of the event. Registration will also be open during the event. 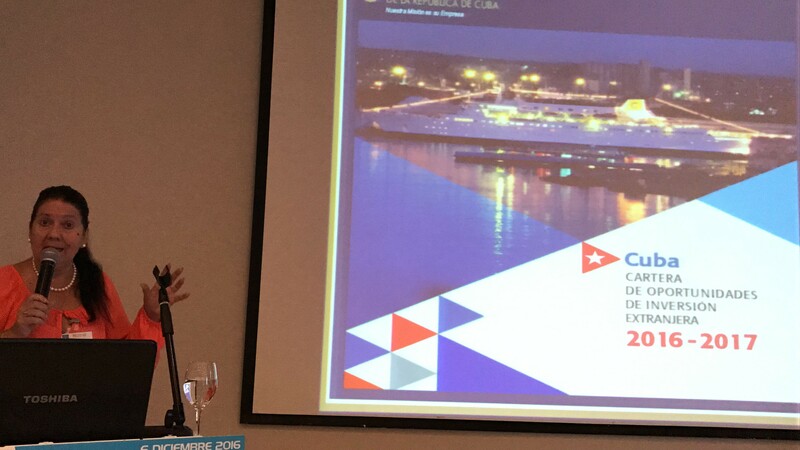 Please be informed that you need to check with the Embassy of Cuba in your country if you need a tourist visa and health insurance to enter Cuba. 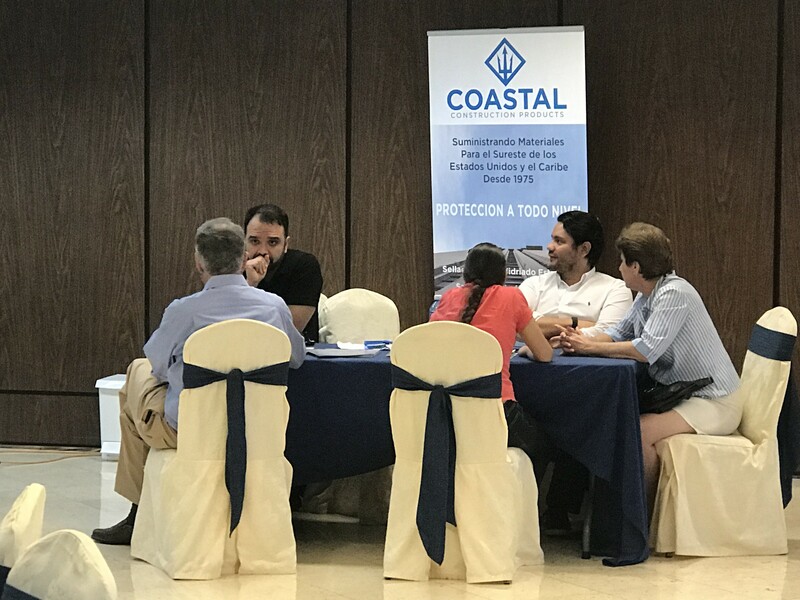 Ecol Ingeniería: 40 years of experience in providing technologies for the flat and automotive glass industry. Ecol Ingenieria: 40 años de experiencia en suministro de tecnologías para la industria del vidrio plano y automóvil. 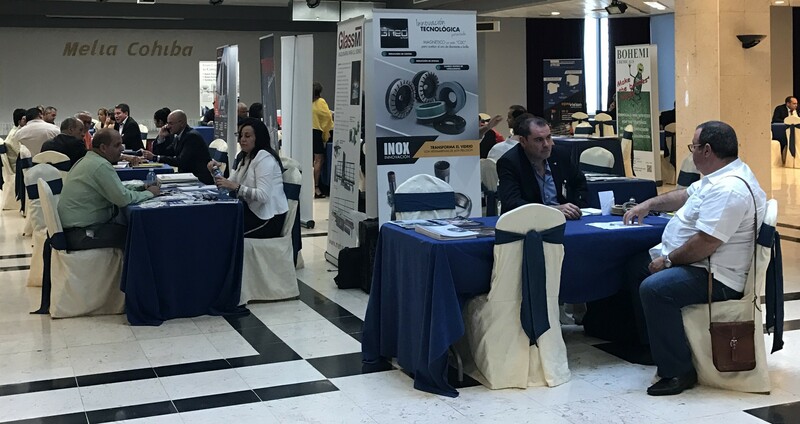 ECOL is a group of companies with more than 40 years' experience in the design manufacture and start-up of components and machinery complete production lines and turnkey installations for international flat and automotive glass industry. A+W Industry 4.0 - The Future of the Glass Industry. For many years A+W has been developing industrial software and concepts for innovation-conscious companies in the flat glass industry including global leaders in glass processing and insulated glass production. 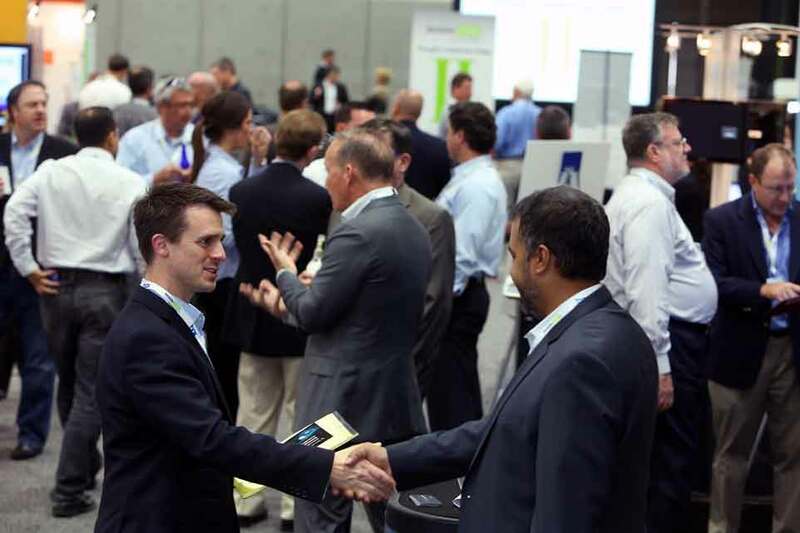 Here A+W cooperates with leading technology partners in the industry in order to provide future-oriented solutions according to Industry 4.0 concepts by participating in a joint innovation network with its customers. This reduces production costs shortens delivery times and improves quality. Therefore productivity delivery reliability and customer satisfaction are improved significantly. 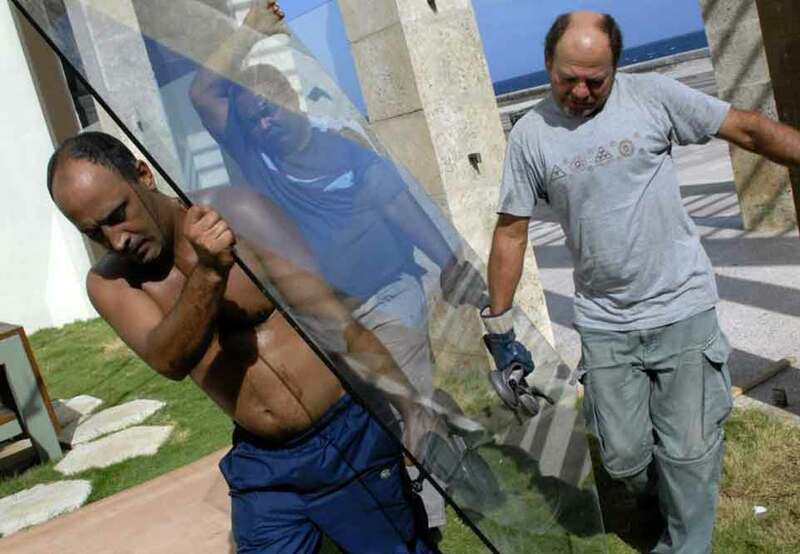 Glass cutting: technologies that save time and money. Glass cutting is far away from using only CNC capabilities to shape your needs. TUROMAS-TECNOCAT will show how their advanced cutting technologies can deeply improve efficiency and costs affecting downstream processes and helping the production tracking. Schüco: The one stop shop for European Style windows doors and facades! Schüco: Especialistas en ventanas puertas y fachadas de estilo europeo! As a leading supplier of aluminum systems Schüco is synonymous with quality energy efficiency and sustainability in building cludding. Its products are widely used in residential as well as commercial applications. 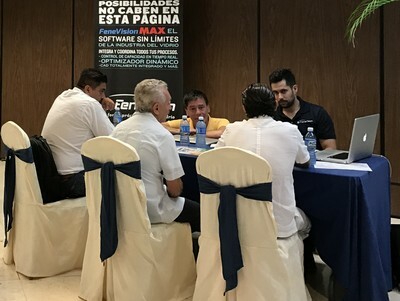 In addition to aluminum systems Schüco offers a wide range of services to its manufacturing partners including design support training software and machinery. FeneVision ERP Software is looking to the future and making it happen today. 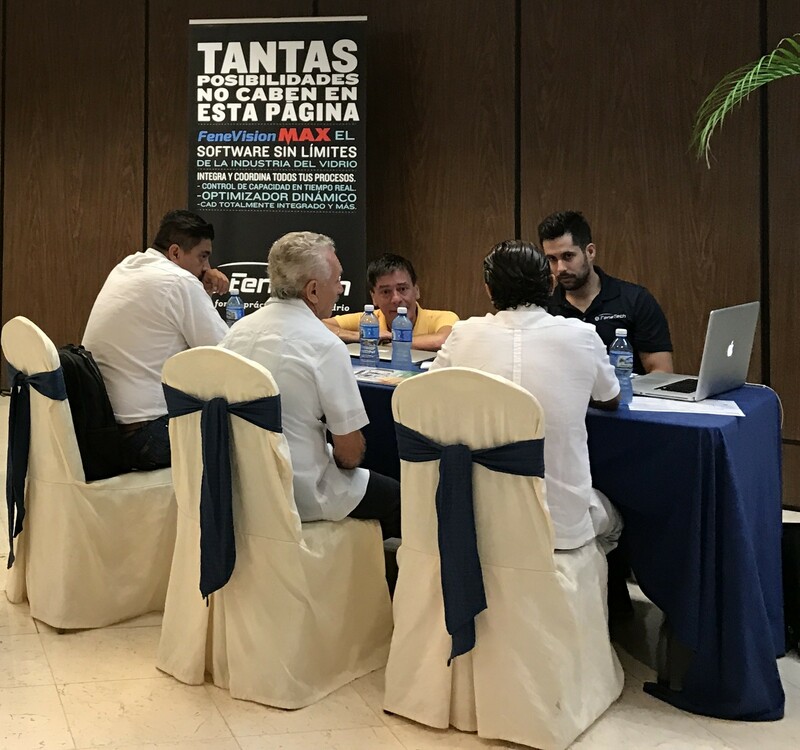 The software and the machines are in constant communication in order to achieve the correct flow of information across the company and always balancing the production work cells or production lines in a irregular demand in a market with high expectations. FeneVision ERP Software helps you by increasing the efficiency in the use of all resources; time machinery materials and men power. 3NEO® innovation for all markets. 3NEO® innovación para todos los mercados. 3NEO® patented technology for cup wheels where we reduce the cost of consumables reduce by more than 15 times the tool changeover and reduce stock considerably. We invite you to upgrade to the latest technology which will reduce your production costs. Introduction on architectural glass quality control: why and how to monitor quality. Introducción sobre el control de calidad del vidrio arquitectónico: porqué y cómo controlar la calidad. Normative and economic reasons for quality control; Quality assurance daily quality control. Separador de Partículas de Vidrio VITROSEP. The Glass Performance Days (GPD) is an independent forum dedicated to the development of the global glass industry through education. This is achieved by holding conferences in different countries. Currently the main conference takes place every two years in Finland (where GPD also holds workshops and a glass exhibition). 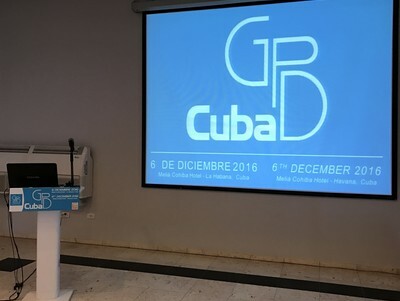 In 2016 GPD will land in the Caribbean Region with GPD CUBA in conjunction with CUBA GLASS which will be held on 6th and 7th December in Havana. Over the years GPD has organized countless smaller local events to share the latest knowledge with local specialists who cannot attend the main GPD event in Finland. 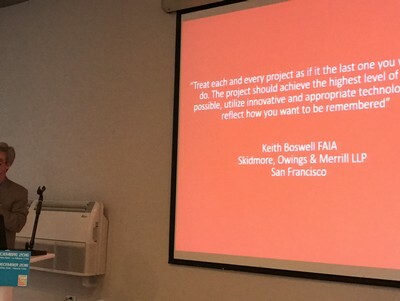 These events are a great way to inform and educate industry leaders and designers alike as to what the most recent advances in glass technology can offer. 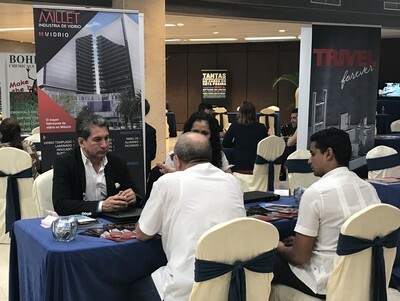 These events are also a great way for professionals from around the world to meet and talk business with local specialists. 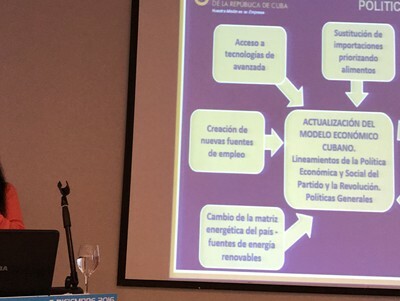 Cuba is starting to open up to modernization and development in its economical and industrial system and this process also includes the glass sector. 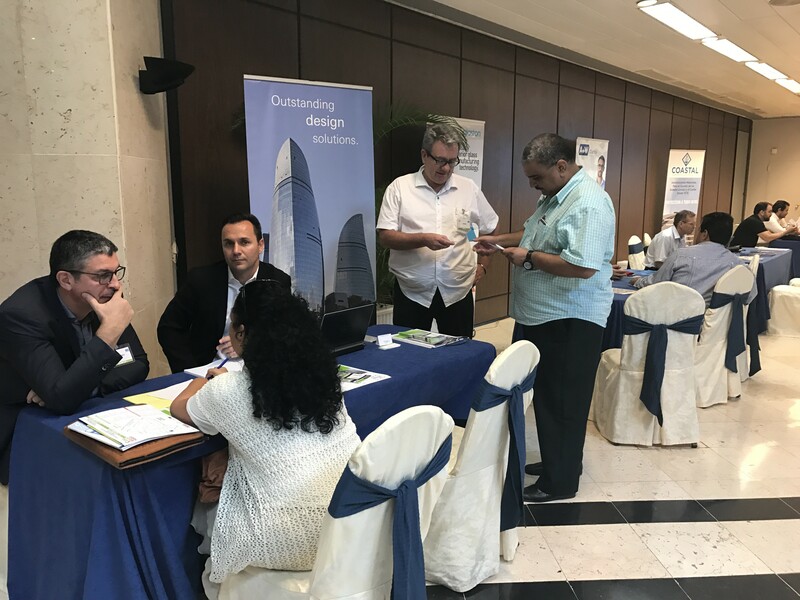 Glass is certain to be at the forefront of Cuba’s development and with this a great deal can be done to modernize and recreate this beautiful country. 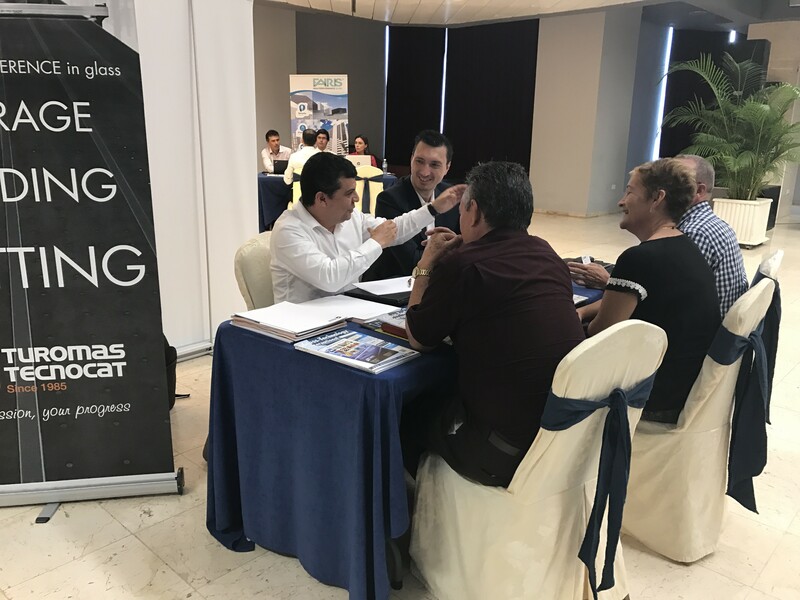 CUBA GLASS is the first international event that allows you to help renew revolutionize and invest in the island but also gives you the opportunity of enjoying this experience with your customers from North and South America. 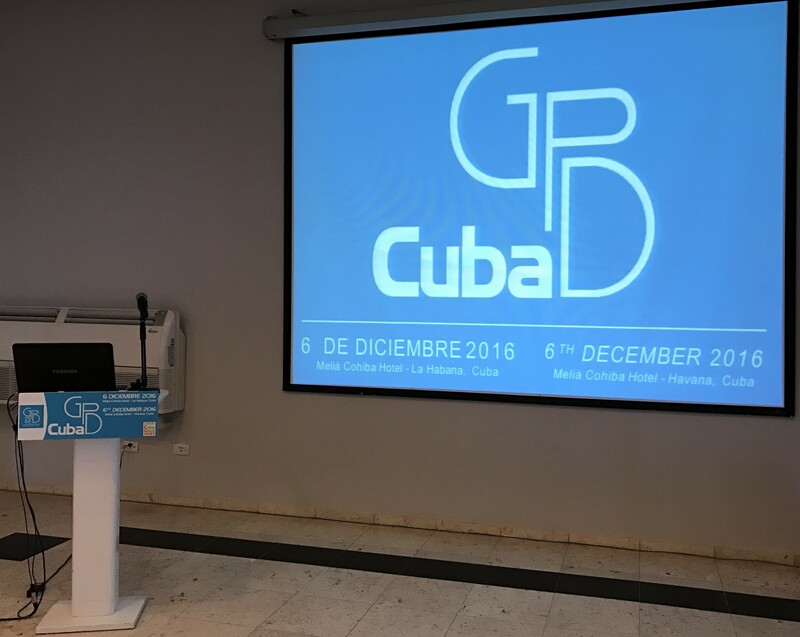 Cuba’s wonderful scenery and climate are an outstanding addition to this cooperative event. 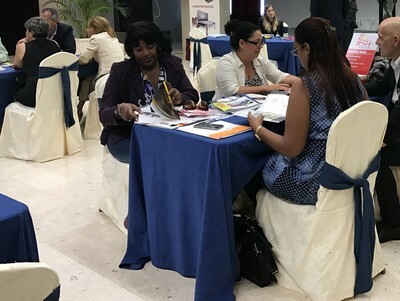 We guarantee that you and your clients will return from the event informed inspired and relaxed. 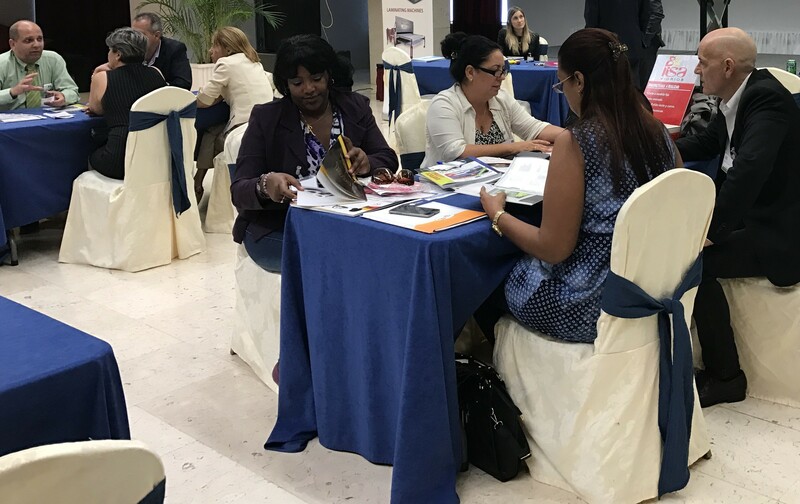 GPD CUBA is your opportunity to enter a new market strengthen your brand and your relationship with your clients in South and North America as a whole while making a good impression through your educational presentation. 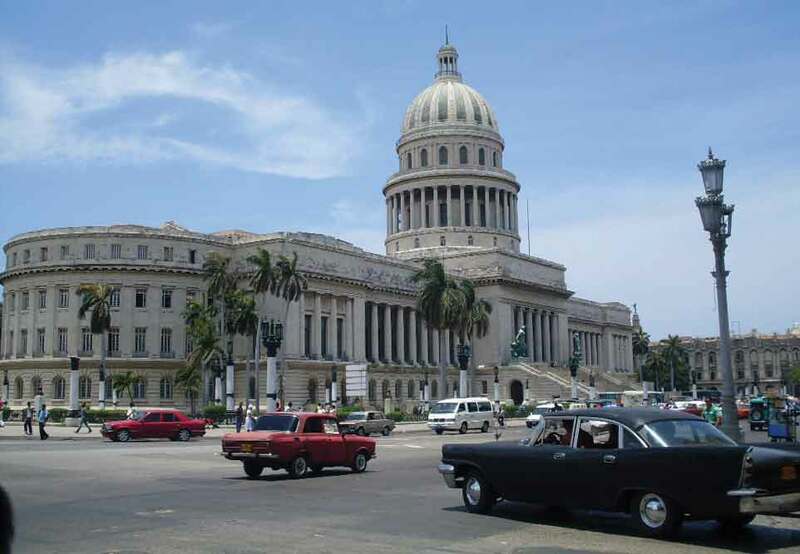 Moreover it may be your last chance to experience Cuba before the changes which modernization could bring. 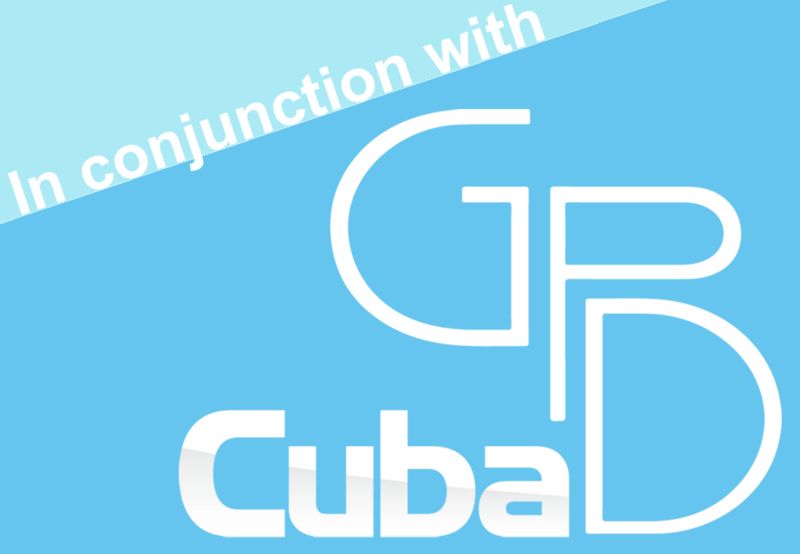 Once you receive confirmation by e-mail please print the ticket (attached pdf) and bring it with you to the event reception to attend both the GPD conference and Cuba Glass. Registration is a requirement for attendance. Maintaining local indigenous architectural character and sense of place with the need to provide new construction to provide contemporary buildings is a delicate balance. This is a challenge facing many of the emerging economies around the world. Delivering new buildings that are harmonious with legacy buildings requires design sensitivity. Examples of projects are presented that utilize architectural glass resulting in design that is modern classic and timeless. The Chairman of the Glass Performance Days Organizing Committee Jorma Vitkala analyzes glass industry developments and trends by reviewing the state-of-the-art as reflected by the GPD 2015 Conference. In addressing the future challenges facing glass design construction and glass industry solutions Jorma Vitkala makes broad-based use of the 140 presentations of the conference and proceedings in a special Executive Summary of the highlights of the GPD in June 2015. The GPD has developed into the hub of the international glass industry as the leading forum for the presentations of innovations new technologies new industrial practices and above all energy-efficient solutions in the service of construction design and interior decorating applications. 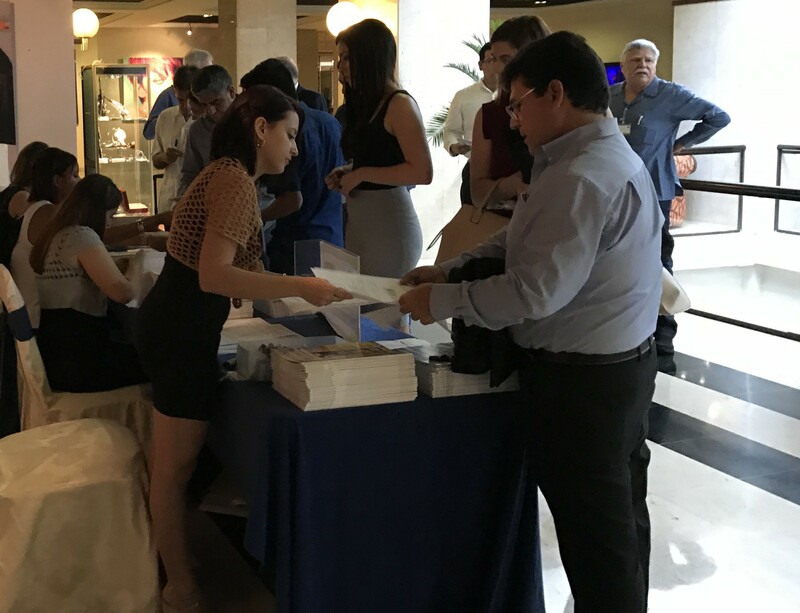 The total number of addresses at the interactive conference sessions and workshops was around 140. 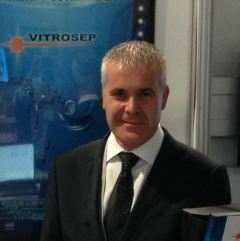 Jorma Vitkala the originator and chairman of the Glass Performance Days (est. 1992) has more than 34 years of industrial experience from the safety glass industry both at Glaston and its predecessor Tamglass. 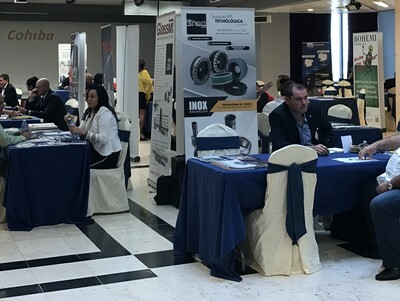 The world-leading glass specialist conference GPD – The Glass Performance Days – was organized under his leadership for the 14th time in 2015. The Chairmanship of the GPD has given Jorma Vitkala a unique platform for perspectives on the global glass industry and a contact network with leading glass professionals ranging from glass specialists and research institutions to architects and structural engineers worldwide. 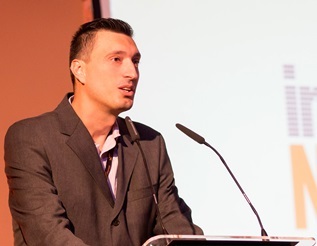 His GPD contact activity since 1992 has brought him a personal contact network more than 1000 speakers from 50 countries and broad international access and ongoing contacts to over 30 000 specialists all over the world. 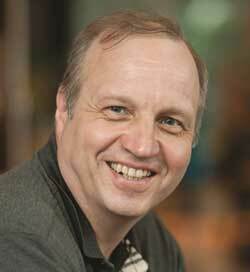 Jorma Vitkala is a frequent lecturer at glass industry conferences and seminars. 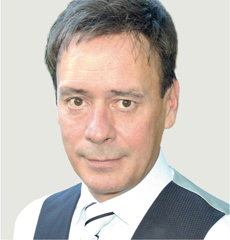 He has written numerous articles for leading publications in the trade. He is also a specialist on LowE glass tempering and has filed and been granted a number of patents related to this field. All facts from designing the correct plant layout to choosing the right machinery or software picking out the right glass format… they all may dramatically affect our processing time. 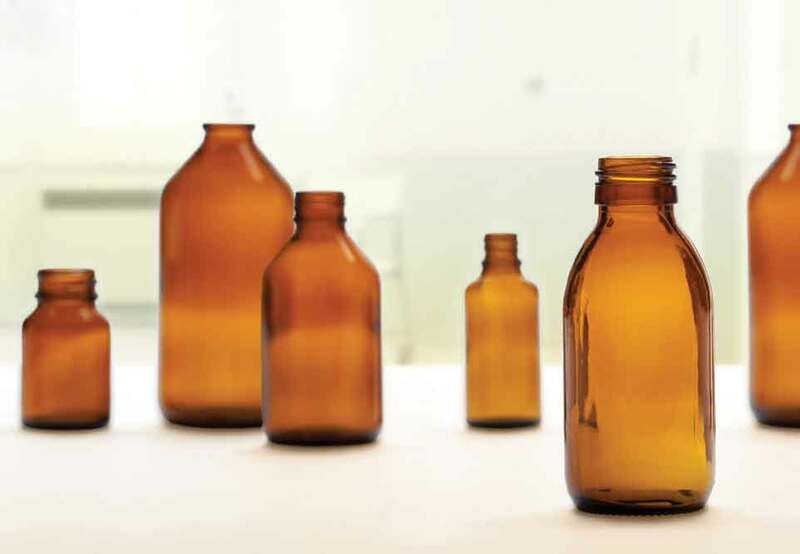 The storage and cutting area are the core of any glass transforming facility as they must be able to feed all subsequent processes in time to prevent production bottlenecks. 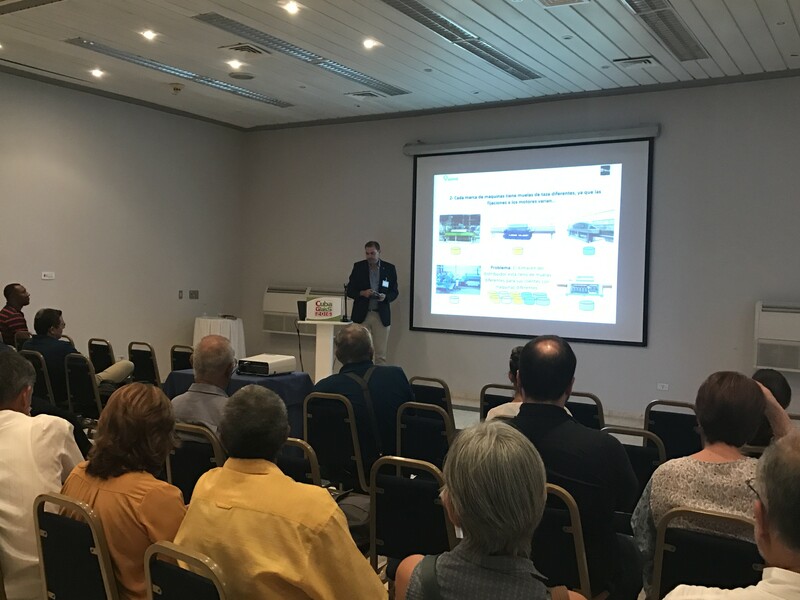 Through our presentation we will try to identify and analyze the key factors to take into account for a well-planned and future-proof processing facility focusing on the storage and cutting areas. 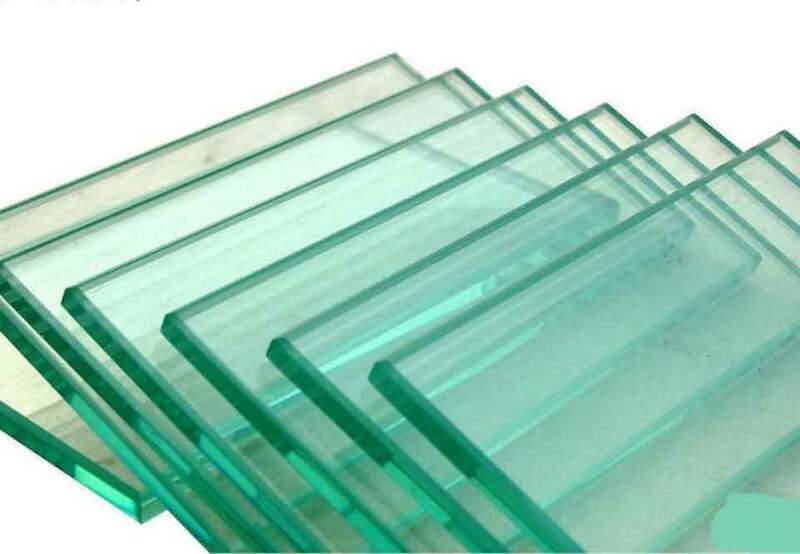 A special emphasis will be done on one of the key factors: the transportation of glass from the storage area to the cutting table where automation and integration with the ERP are basic to boost productivity quality and safety. Javier Ríos Marketing Director of the Spain based Company TUROMAS-TECNOCAT has 15-year experience as Area Manager and Marketing Manager in different world leading industrial companies in the automotive elevator and glass fields. In 2013 he joined TUROMAS-TECNOCAT to help implementing the new communication needs and provide the needed visibility in those markets where the brand was barely known despite being the main reference in many countries in glass storage loading cutting and handling. His deep product knowledge together with his limitless communication skills have lead him to become the Company’s regular event speaker where his passion to transmit information is matched only for his ability to attract attention on issues highly relevant. The importance of an integrated software ERP solution in the glass processing industry. A completely integrated software ERP solution in a modern glass processing plant is essential to achieve complete automation. Only by closing the gaps between machinery and software and by eliminating island solutions an efficient flow can be achieved. Complete automation is making factories smarter and requires constant innovation which is the process of making something better by use of new original ideas mainly in software technology. Through that new form of automation software control systems are applied to reduce labor increase raw material usage and improve quality by repeatable work methods. This process is changing the landscape of manufacturing. Modern and fully integrated software solutions furthermore coordinate the activity of the islands of automation created by the many talented machinery and system vendors. By deeply integrating and inter-connecting machinery and software in a factory a complete view of materials status of all processes can be available to anyone at any time. Horst Mertes has been in the software industry for glass processing for more than 33 years now. Starting from application work in the late 80's for glass industry software packages Horst is probably the most experienced specialist world-wide in this industry. He has lived and worked in various continents of this world and has seen and consulted more than 500 glass processing companies world-wide. 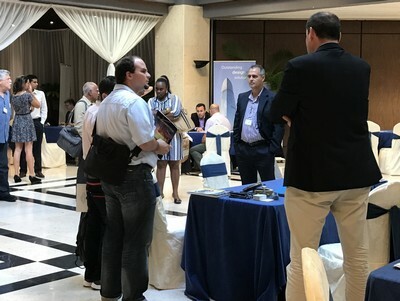 Horst Mertes has also been a world renowned speaker at various glass industry events such as GPD in Finland Asia Glass GPAD (organized by FeneTech) and others. Horst is 54 years old single and currently lives in Cleveland Ohio (USA) and Liege/Belgium. He speaks 7 languages fluently. Prices for glass products are dropping products are becoming more complex delivery times shorter. 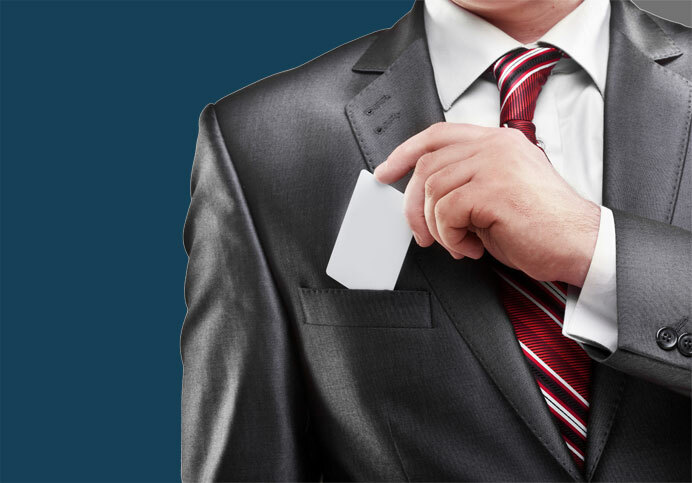 Having the right information for you and your customers as well as efficient organization and control of processes at the company determines whether a company can succeed in the long term on the market. A+W Clarity assists and informs you about all relevant processes at your flat glass company. 17 years' experience in the glass industry; consulting support and organization of software projects worldwide. Since 2013 responsible for Latin America with more than 30 projects successfully implemented. Josep Sais - Vitrosep S.L. 29 years of experience in machine engineering. Since 2005 in VITROSEP dedicated to the treatment of the glass grinding waters. Glass business is facing more global competition today than ever before. This means that all glass processors local or global need to prepare themselves for global competition. This presentation sets the framework for global quality and energy efficiency requirements for heat-treated glass. First this presentation goes through the current heat-treated glass quality requirements and gives practical quality requirements for façade glazing. Reaching the quality requirements is becoming even more challenging as the buildings are made to more energy efficient. From façade point of view this means new high-performing coatings and integrated intelligent glass solutions that change the way glass can be heat-treated and the requirements set for the glass. 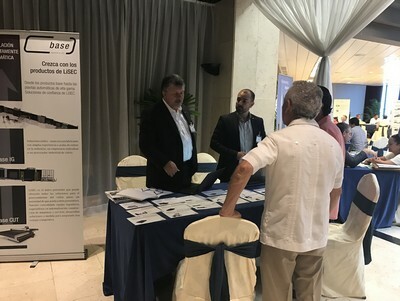 This presentation will also cover the latest technologies used to meet the growing quality demands globally in and neighboring countries of Azerbaijan. We will also paint the future for growing quality requirements and how glass processors can prepare themselves for the future requirements. Miika Äppelqvist is a glass heat-treatment specialist who has worked in different management positions in glass heat-treatment and safety glass area. During the past 8 years he has been involved in the development and market launch of the latest tempering and laminating technology. Currently he is the head of Marketing in Glaston Corporation. W. Nicolás Esquivel Guzmán - CDC-Curtain Wall Design & Consulting Inc. This presentation addresses solar control technologies modeling tools and building orientation. 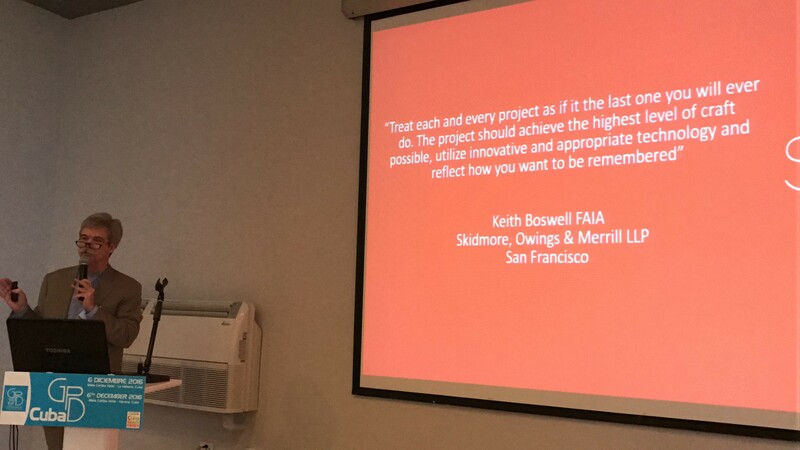 Learning objectives include identification of basic characteristics solar reflection and variables involved in sun-tracking and solar glare; use of solar reflectivity knowledge in designing a building and how to reduce the risks caused by solar glare. 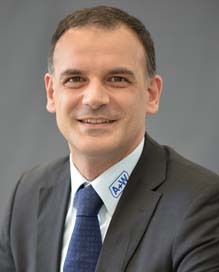 The architect Nicolás Esquivel Guzmán graduated at Tecnológico de Monterrey in Mexico and post graduated with a master in Project Management at George Washington University in 2003. 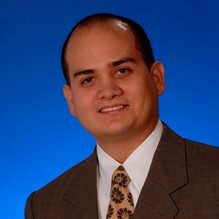 He is working in Curtain Wall Design & Consulting (CDC) in Dallas since 1999. After 7 years in the engineering department - in charge of planning design and development of many façade systems in particular prefabricated cement brick and stone systems and various curtain wall systems - in 2007 he joined CDC’s consulting department where he worked with investors arquitects contractors lawyers and insurance companies both in the design of new façade systems and for forensic research and coating renovation in existing buildings. 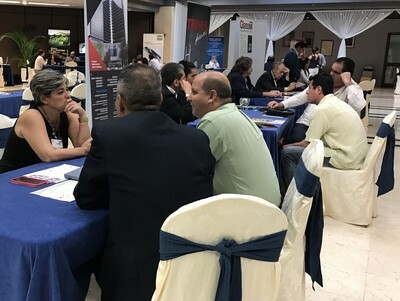 In this field he had the opportunity to make use of technologies to provide practical and effective solutions to many challenges and specific needs of the construction coating. In his current position in the CDC’s consulting group he cooperates in the design development and evaluation of many façade systems; performs field tests to determine the tightness of the building coating participates as a representative of architects or investors during the evaluation of systems in different testing laboratories offers his point of view about the condition of façade systems for the consideration of potential investors and oversees the installation of façade systems for the construction of new buildings and for the renovation of façades of existing buildings. 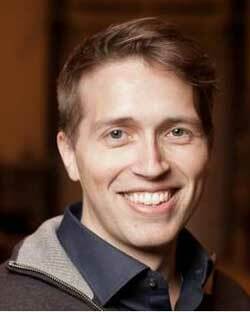 He works with clients in the US and Latin America. In particular in the Latin American market he pleads for adopting and implementing the same quality standards currently in effect in the countries which are at the forefront in this industry. 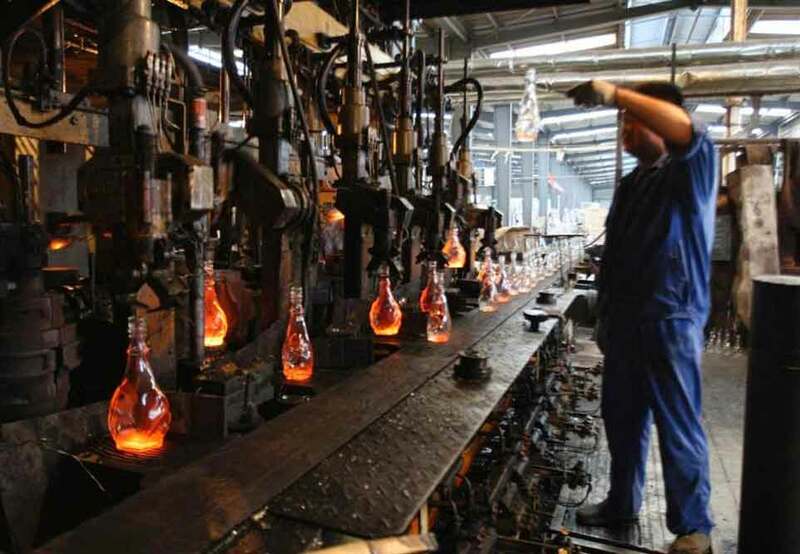 Constant changes to the glass industry implementation of strict standards more complex products short lead times... are some of the aspects that we note influence our markets. Today to make a “Hit” is not enough to simply implement adequate practices; there must be a combination of factors that together lead to efficient processes and quality products. Today the market offers a great deal of Low emissivity (Low-e) coatings and to take the best out such products we must integrate them into a Process that will advantage of its features. Insulating glass units (IGU) offer an efficient solution with an outcome of not only audio insolation but greatly contributing to energy saving. 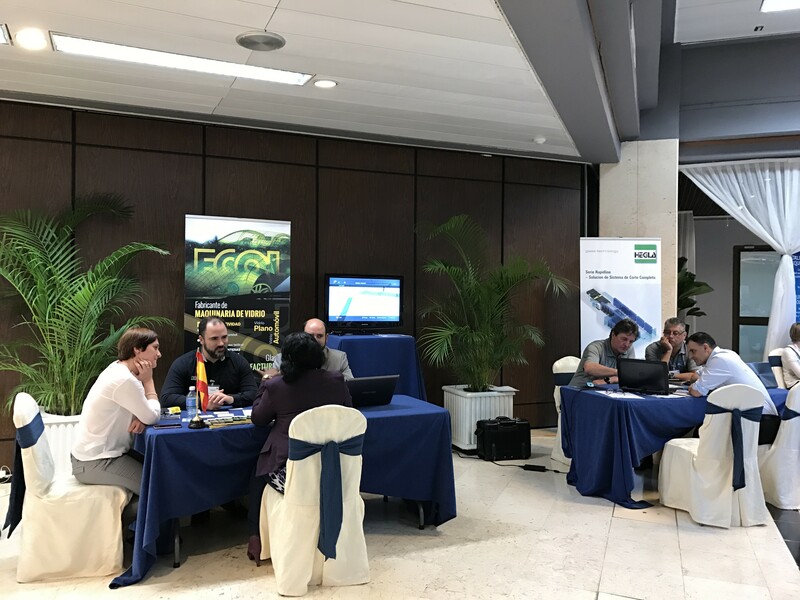 Simultaneous translation provided in English and Spanish. Boasting spectacular views over the city and the seafront the 22-storey Meliá Cohiba offers comfort and elegance in keeping with its 5 star status. 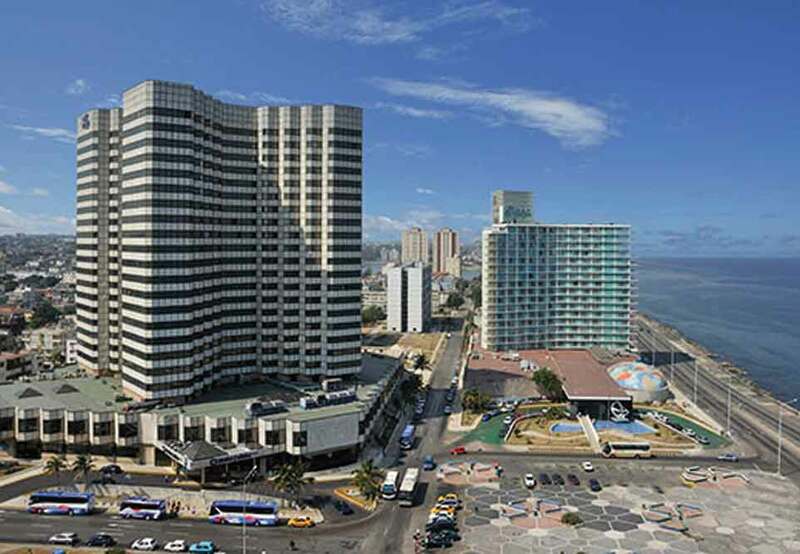 Located in the central business district of Vedado the most modern area of downtown Havana and just 50 meters from the famous Malecon esplanade (Avenida del Maceo) the hotel is a metropolitan landmark for business and conventions.